No one's saying the world needed any reminders of just how wretched Pixels is, but at least this one serves as an object lesson in how broken anti-piracy laws and policies are. 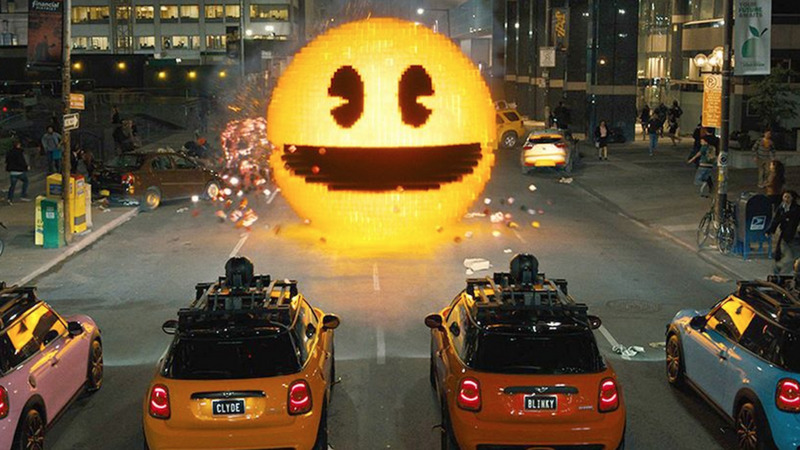 Entura International, an anti-piracy firm representing Columbia Pictures, served Vimeo with takedown notices for a number of videos with the word "pixels" in the title. While the move was ostensibly aimed at eliminating pirated versions of the recent film from the video-hosting site, Entura only managed to inconvenience a number of independent artists. Incredibly, the only actual instance of Pixels footage being removed was the film's trailer. Score one for Entura on that one, for wiping away at least one promotional source that could have steered someone into seeing the movie. Also removed was Patrick Jean's award-winning short film Pixels, which inspired both the premise and the title of the Adam Sandler film. News of the takedowns comes from TorrentFreak, with the full text of Entura's takedown notice available right here. Among the other creators affected were NeMe, a non-profit group that hosted a 2006 short film called Pixels that was produced on a "shoestring budget" and "infringes no copyright," the group told Vimeo. The takedown notice affected a number of other Vimeo posts as well, personal projects that, in multiple cases, pre-date the existence of the Sandler film. There's a student-produced music video for the band, The Pixels. There's also "Pantone Pixels," a 2011 project with a description that reads: "A personal project that took me a very long time." While Columbia has every right to protect its investment, takedown notices such as this one highlight the flaws in the way the Digital Millennium Copyright Act (DMCA) operates. The "kill first, ask questions later" policy at Vimeo, YouTube and other video-hosting services removes targeted content as a first measure. A subsequent investigation often clears up the confusion and halts the takedown, but only after the original content creator's been put through the headache of having their creation unreasonably yanked from the Internet. Here's the real problem: The DMCA takedown process is a tool in the hands of cash-rich companies that have the ability to throw money at firms like Entura. It might have bitten Columbia this time, since the only actual Pixels footage removed seems to have been an official trailer. But what about those other content creators, the ones that didn't pirate anything and have now been inconvenienced simply for using "pixels" in a title? It's a messy situation, and one that's unlikely to change until someone in Washington rolls up their sleeves and takes a good, long look at the current state of copyright law. technew - Get it now!